1937-Lac qui Parle County Family Service Center began in 1937 when the Minnesota Legislature created county welfare boards, which at first were under the supervision of the State Board of Control, then the Division of Social Welfare, later the Department of Public Welfare, and finally the Department of Human Services. From the beginning, public welfare was administered as a three-tiered (county, state, and federal) human services system. The County provided local administration under auspices of the state agency. 1953-Reorganizations took place in public welfare at both the state and county levels. The child services division was created to work with adoptions, boarding homes, guardianship, protection, and unmarried mothers. 1964-This is the year the Food Stamp Act was enacted. The food coupons were the means of supplementing household income, and they were totally federally funded. Today the program is currently called Supplemental Nutrition Assistance Program (SNAP). 1971-Minnesota was authorized to participate in the federal grant-in-aid program of Emergency Assistance to Families with Children. 1973-In the mid-sixties there was an underlying assumption that persons in need of financial assistance also needed social services to help them be adequate parents, to stimulate them to seek financial independence, or to obtain needed rehabilitative services or care. Client groups began to assert that this was not necessary, and resented the intrusion into their privacy. Separation of aids from services was mandated in Minnesota in 1973. The Lac qui Parle County Welfare Department certified to the state on July 5, 1973 that this separation had occurred. 1979-The Community Social Services Act (CSSA) was passed in Minnesota. This changed the method of funding for a variety of social services from grants-in-aid to a formula allocation of state monies. The County Board of Commissioners was given authority for funding, and while not eliminating the welfare boards, the Act clearly centralized authority for the planning and delivery of social services at the county board level. 1990s-Throughout this time, two state computer systems were developed. MAXIS was developed as a way for the county income maintenance staff to determine eligibility and benefit levels for public assistance clients. SSIS (Social Service Information System) was also developed to allow social workers to enter data on their own personal computer workstations. PRISM (Providing Resources to Improve Support in Minnesota) was developed to provide statewide child support enforcement tracking system. 1995-Lac qui Parle County Family Services move from the third floor of the Courthouse to a separate building located at 930 1st Avenue, Madison. The 3,950 square feet of extra space was needed to house the employees in one central location due to the increase size of the department, as well as, make the offices more accessible to clients. 1998-The Lac qui Parle County Welfare Board reviewed proposals from health plans and chose two plans to participate in: UCare of Minnesota and Blue Cross/Blue Shield/Blue Plus of Minnesota. The county’s role was to provide managed care, education, enrollment, and advocacy to county residents. 2002-Minnesota State Operation Community Services (MSOCS) were created because of a merger between state operated programs managed by five separate regions throughout the state. 2004-The Diversionary Work Program (DWP), which is a program associated with MFIP, became effective 7/1/2004. The program is a four-month duration with the purpose of helping Minnesota parents find jobs quickly. When families first apply for cash assistance, they may be eligible to be enrolled in this program. Lac qui Parle County Family Services along with the other counties located in Region 6 partnered with Southwest Minnesota Private Industry Council, Inc. to develop a uniform program related to communications between agencies, staffing, and employment protocols. 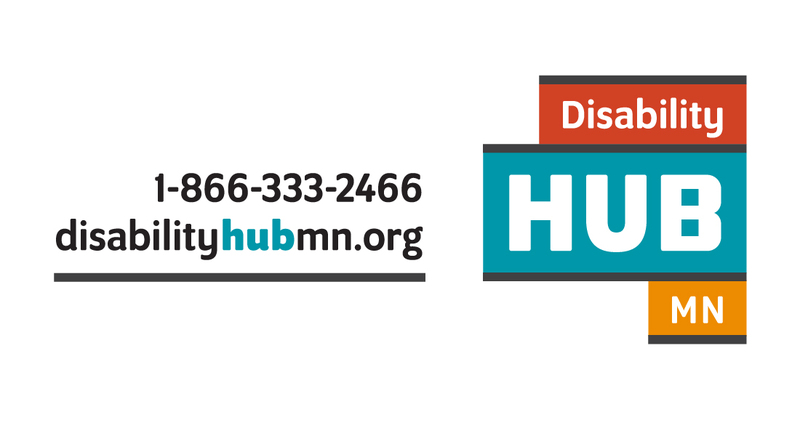 2007-The Minnesota Legislature passed Governor Pawlenty’s Mental Health Initiative designed to improve the accessibility, quality, and accountability of publicly funded mental health services. 2008-Lac qui Parle County became the 84th of 87 counties to establish a Children’s Mental Health Collaborative with the designated funds to be used towards positive social skill development among students in the county’s school districts and implement a school based prevention/intervention program. 2011-The Vulnerable Children and Adults Act (VCA) was created to establish funding for vulnerable adults and children. Under this act, services will be provided or arranged by the county for children and adults who experience dependency and abuse or neglect. For more information on this act, visit the Department of Human Services website. 2013/2014-The Lac qui Parle County Welfare Board was reorganized and is now called the Lac qui Parle County Social Services Board. The board meets every 3rd Tuesday of each month at Lac qui Parle County Family Service Center in Madison. The public is welcome to attend these meetings. 2014-MnChoices was adopted by Lac qui Parle County Family Services as a new assessment tool that replaced Developmental Disability Screening, Long-Term Care Consultation, and Personal Care Assistance Assessments. This was to allow the county workers to focus more on a person-centered planning approach to help people make decisions about their long-term services and supports. 2015-Family Services expanded its office space by moving Social Services Adult Workers to the Madison HealthCare Center Office. The Family Service Center building also went through a complete remodel to make the space more useable for workers and handicap accessible for clients. 2016-The Lac qui Parle County Social Services Board contracted with Medica as an option for clients under MinnesotaCare and Medicaid health plans to participate in because the State of Minnesota did not renew its contract with UCare. This decision allowed clients the continued opportunity to choose between two health plan providers instead of placing all clients under BlueCross BlueShield/BluePlus of MN. Present-Lac qui Parle County Family Service Center continues to be under the direction of Joel Churness who has served as director for over 30 years. The agency offers a wide variety of services that are available to residents of Lac qui Parle County. For more information, click on services.